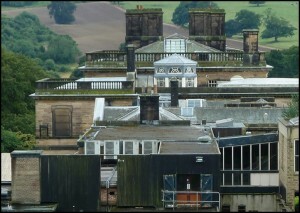 In 1812 Jeffry Wyatt presented his plans for further developments and extensions of the main building. 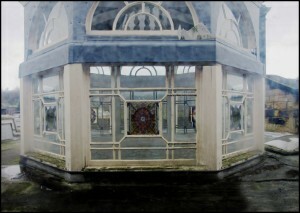 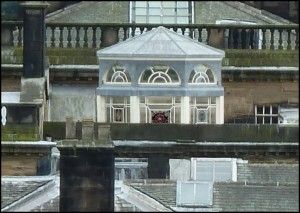 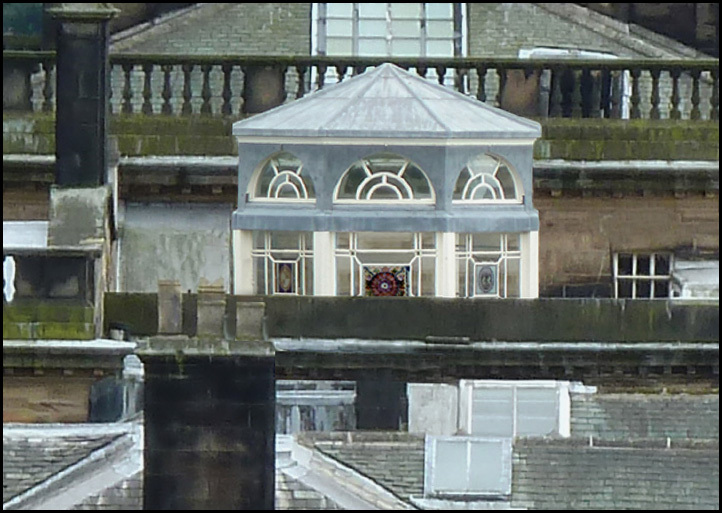 In the ‘link range’, separating the old mansion from the office block, Wyatt created a square vestibule that rises through the two storeys of the house to the coloured-glass lantern on the roof. 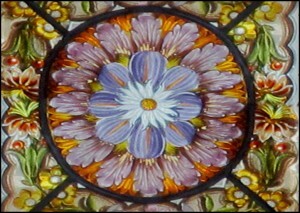 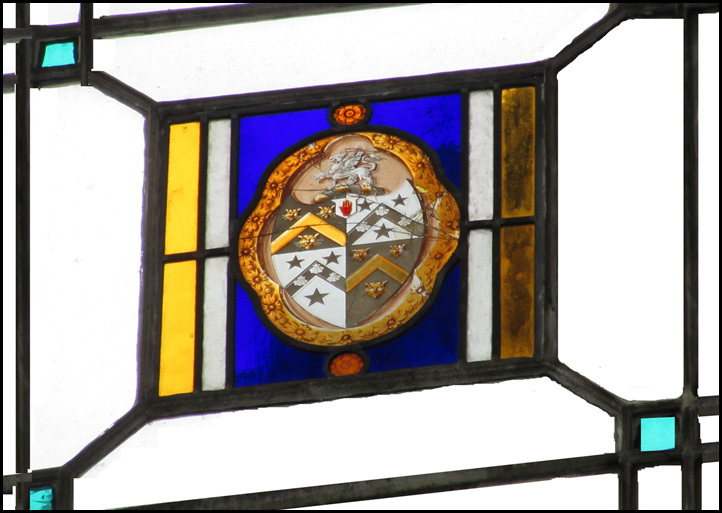 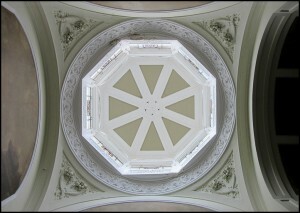 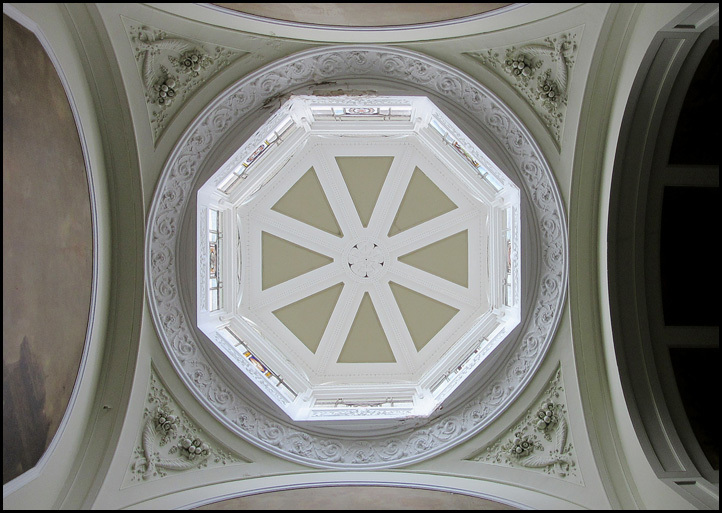 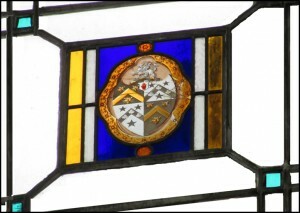 This octagonal skylight rests upon a circular support, itself sitting on the square section of the vestibule, and held by pendentives, which are ornamented with cornucopias. 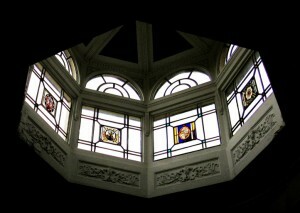 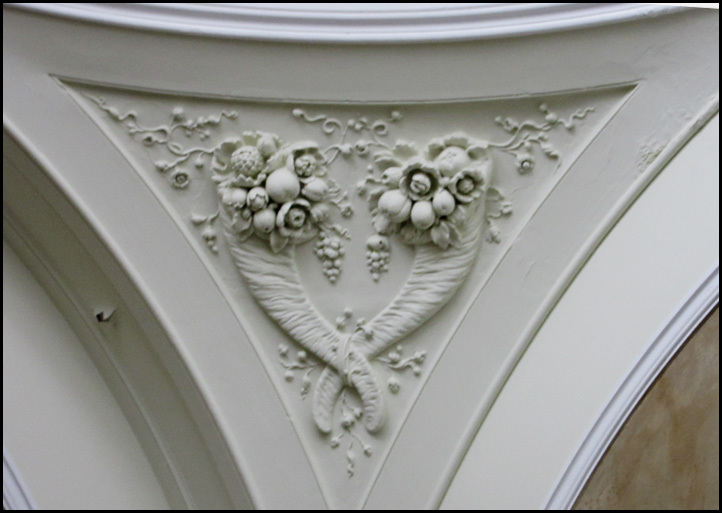 The fascinating structure provides adequate lighting for the murals of Roman ruins, decorating the hall. 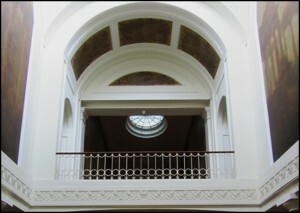 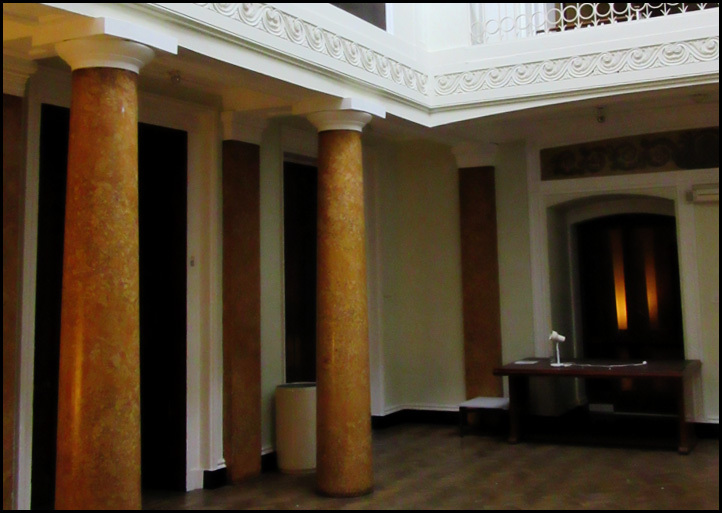 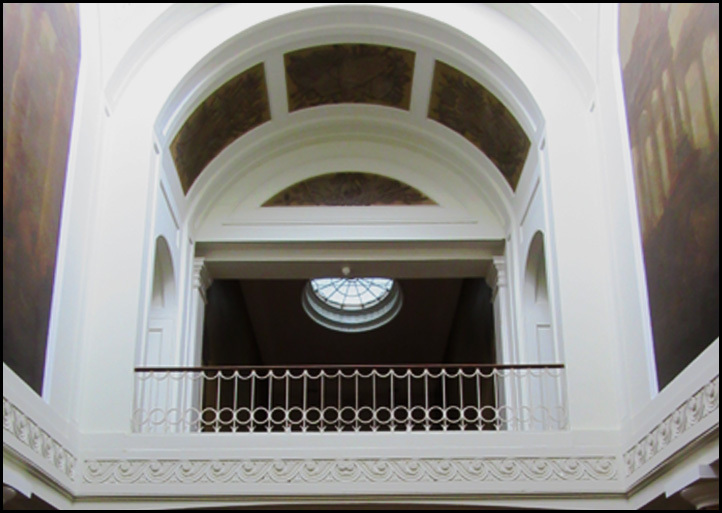 At the first floor level, the vestibule opens onto the half-landing of the south range’s main staircase, creating a gallery for the viewing of the murals. 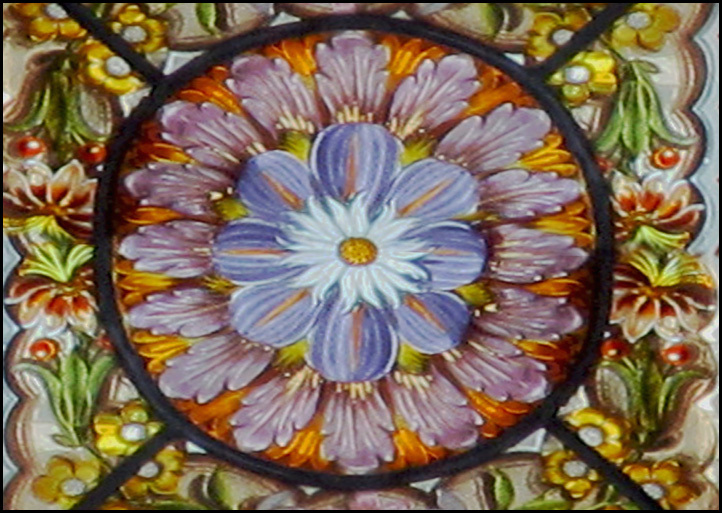 The whole composition is strikingly effective, with a dramatic quality that is found pleasing.